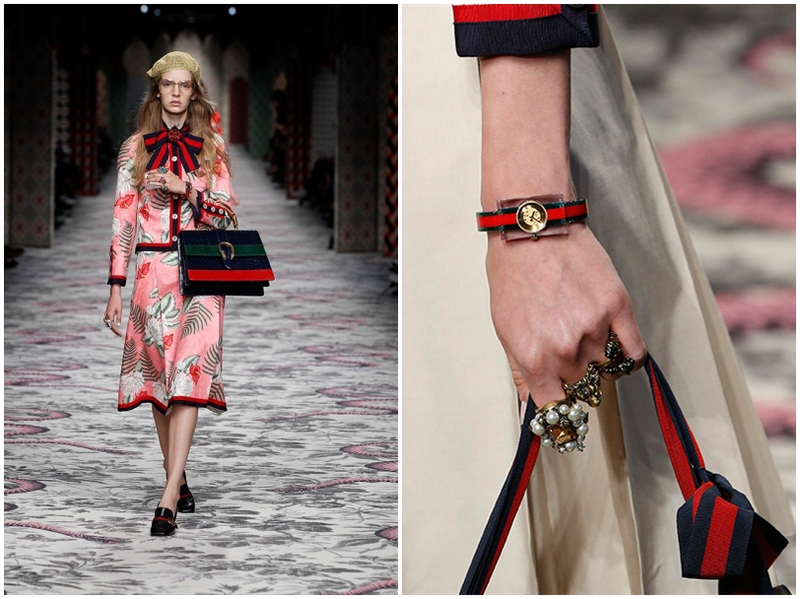 Have you taken a glance at the Gucci Spring 2016 Ready-To-Wear Fashion Show? The show is inspired Carte de Tendre, a French map of an imagery land called Tendre. To my surprise, those designs look quite vintage and attractive, and I love floral dresses that the models dress up. Aside from the wonderful clothing, we could take a cue from the show and figure out which kind of watch will be the fashion trend in 2016. The watch that has been shown on the Gucci Collection the most often is this striped watch, of which the red and green are the palette. If you pay attention to this collection, you will find out that the red color must be the designers’ favorite in 2016. This one is made from resin, and the watch is just suited with those clothes well. The dial is exquisite in gold and creates a luxury vibe to the outfit. In my opinion, the striped and color-blocking watch may be the fashion trend of next year. As the watch of Gucci is expensive for most people, so we are looking for the affordable one. 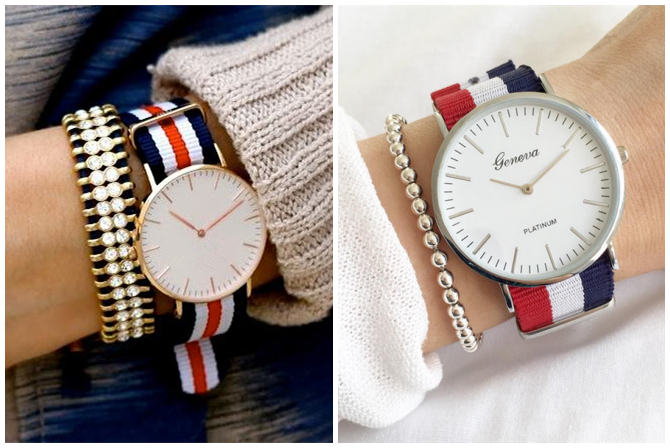 How about this striped canvas band watch? Some people might think that this striped watch seems to be one of the men wrist watches which are a little bit masculine for women to wear. However, I am here to show that this one is suitable for everyone. There are three different combinations of color, and one of them is inspired by the French style in white, red, and blue. 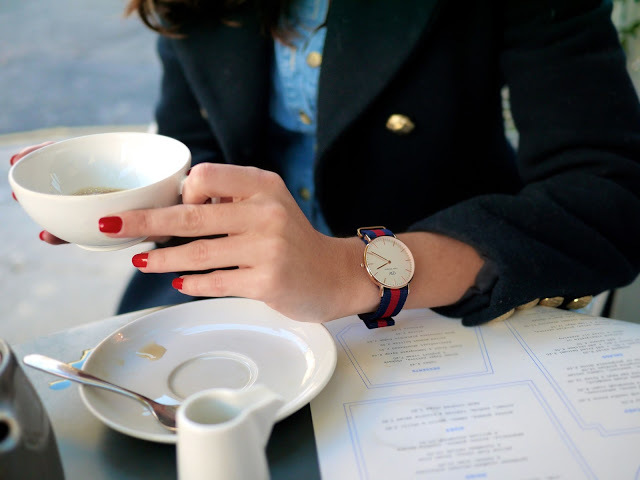 I can’t help those red finger nails which suit the watch quite well, and the combination of red nails and the striped watch does make your outfit look tougher but also feminine. This one is attention-grabbing, and I will love to have one more floral dress in red to style with this watch. Designed by © 2014-2019 iWatchau Ltd .